Click on the AP banner. AP web page will open. Now select account type Personal Starter. Now give required information like Address n Contact No. etc. Make sure that the phone no and address you are giving is right. Because if you want check from AP they will send the check at the address used in registration. Give your valid email address. Because AP will send you an activation link to verify your email address. After completing registration go to your mailbox and check validation mail from AP. Click the validation link in the mail. 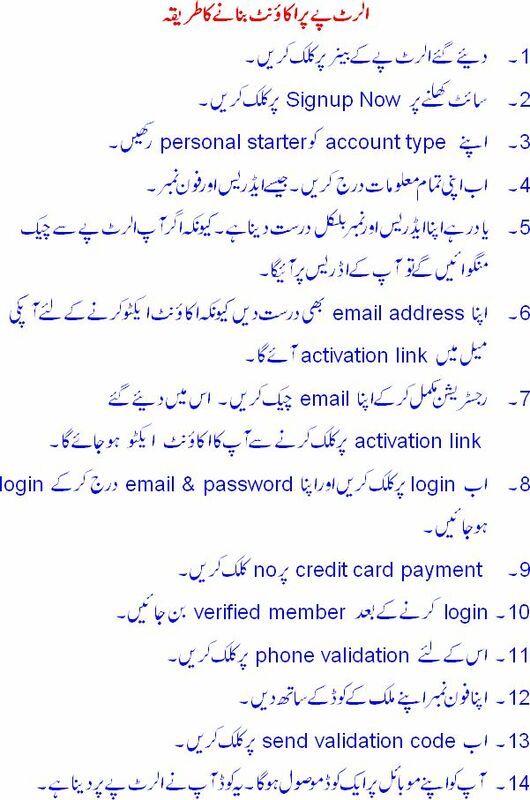 Give email and password and click login. Click no to Credit Cards Payment. Once you logged in, become verified member by clicking option Become Verified. Select your mobile no. with country code. You will receive 3 digits code from AP on your mobile. Enter that code in the required field. Now click Account Overview you can see your account is verified now. Your account registration is finished now. You can now log out.